Following six months of collaboration between administrators, students and faculty members, Northwestern’s University Diversity Council has formulated a proposal for a university-wide diversity requirement for undergraduate students. The Social Inequalities and Diversities requirement, recommended for implementation in fall 2015, would include an academic curricular component and a discussion-based activity completed outside the classroom, according to a draft of the proposal obtained by The Daily on Monday. The two components would be completed during students’ freshman and sophomore years. Initiated last spring, the proposal’s development results from the collaboration of members within the UDC’s Academics/Education working group. If approved, it would represent the first University-wide academic requirement for undergraduates. 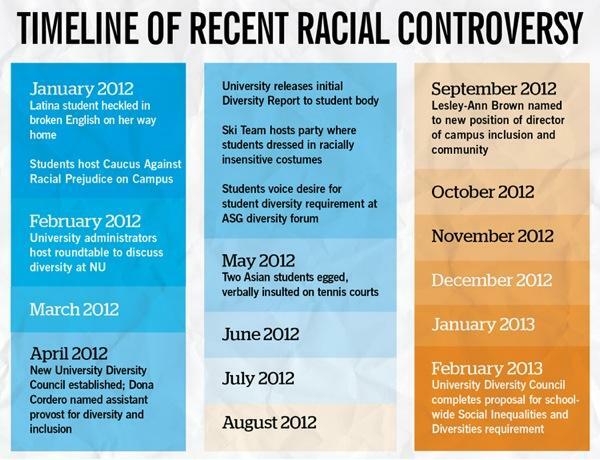 The proposal is the culmination of numerous calls by students last year for a cultural competency requirement after a series of racially insensitive incidents on campus. Students voiced the desire for the requirement in open forums and smaller meetings, resulting in the University’s release of the Diversity Report, which highlighted a “serious problem of a lack of diversity at NU.” The University also appointed two officials dedicated to improving diversity on campus: Dona Cordero, UDC chair and assistant provost for diversity and inclusion, and Lesley-Ann Brown, director of campus inclusion and community. Cordero said the proposal signifies the council’s ongoing efforts to meet student demands. She stressed the document is still a draft that needs to be reviewed and approved by the president, the provost and the deans within each of the six undergraduate schools. “It’s a work in progress, so we definitely still have some work to do on it, but I think we’ve made some good progress,” she said. According to the document, the curricular portion of the requirement could consist of large lecture courses accompanied by discussion sections to “create a unifying intellectual energy around issues of diversity and social inequality and around their Northwestern identities.” In addition to race, the classes will examine issues of sexuality, gender, class, religion and ability. Spanish Prof. Frances Aparicio, co-chair of the UDC subgroup that developed the proposal, said students would be able to use the academic component to also fulfill a distribution unit to avoid imposing additional graduation requirements on students. Although the requirement focuses on reaching undergraduate students, Aparicio said the hope is to also involve graduate students by having them work as teaching assistants for the courses. Students would be expected to fulfill the requirement during their first two years at NU so they could incorporate the knowledge into later experiences in their college careers. The proposal also includes an appendix of diversity requirements at other institutions in the Committee on Institutional Cooperation, a collaboration between Big Ten schools and the University of Chicago. Aside from NU and the University of Chicago, all of the schools have some form of a diversity requirement in multiple, single and partial course variations. 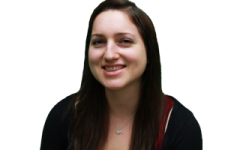 “If we are trying to position ourselves as a leader in higher education, we need to be a step ahead of everyone, and in this regard we’re two steps behind,” the Weinberg senior said. The co-curricular portion of the requirement proposes the use of the sustained dialogue model of the Washington, D.C.,-based Sustained Dialogue Campus Network, formally used by a dozen universities, including Harvard University and Princeton University. Currently being developed by NU’s office of Campus Inclusion and Community and a student task force, the sustained dialogues would involve discussions outside the classroom facilitated by trained student moderators. The discussions, while not necessarily related to course content, would build on the knowledge students are gaining in the classroom, Brown said. “It’s going to give them an opportunity to implement what they’ve learned, as well as do some self-exploration and learn from their peers,” she said. Administrators were already planning to use the model before it was included in the proposal for the requirement, Brown said. The office is piloting the discussions this spring, running five groups of 50 students each that will meet weekly throughout the quarter. Tailored to NU, the document says the requirement is aimed at making students “distinctly Northwestern.” Weinberg junior Sofia Sami, who helped developed the proposal, said faculty input was very important in creating a “feasible” proposal that can be flexibly applied to NU’s different schools. “This really is molded to the way this university functions,” she said. Stevens said the proposal demonstrates how important student activism can be in prompting change at the University. The full version of the proposal can be viewed below.